Successfully Added Cassiel Kit Cigalike E-Cigarette Kit- 2 Vape Pens, 2.2Ohm, 0.7ml, 170mAh, 1200mAh Charging Case, Mechanical Mod to your Shopping Cart. This new take on a cigalike e-cig will bring you a quality vaping experience with a touch of class. The Cassiel e-cig is a sleek and stylish vape pen about the same size as a cigarette. Holding 0.7ml of eliquid and with a built-in 170mAh battery the Cassiel 2.2ohm vape pen offers an enjoyable vaping experience. Operated by an intelligent chip system that works on air pressure this e-cig mimics the experience of smoking and is activated through suction so there is no button to press and it can't be accidentally activated. 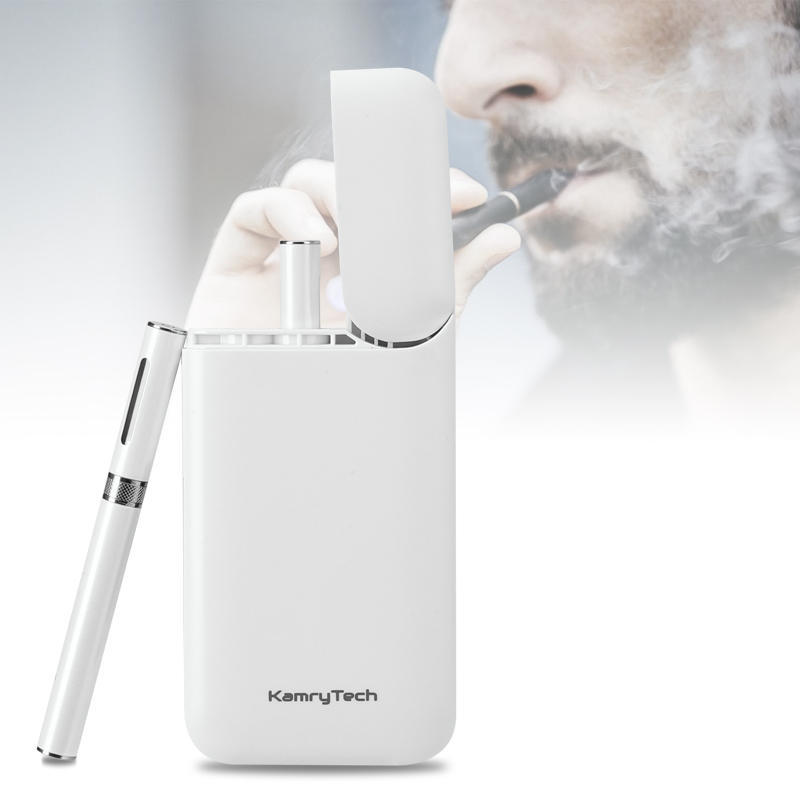 The kit included two stylish vape pens, each of which weighs just 20 grams and measures 100 by 10mm. A carry case that doubles as a charging box will let you store the pens in style and houses a 1200mAh battery to keep the e-cigs topped up with power. This ergonomically designed vape kit takes up less room that a pack of smokes and offers enough vaping to fight back your cravings for a full day. Now you can enjoy the pleasant taste of your favorite eliquid with these full flavor vape pens and still get your nicotine hit without suffering the damaging effects of smoking. The Cassiel vape pen kit comes with 12 months warranty, brought to you by the leader in electronic devices as well as wholesale e-cigs and vaping gadgets..